Uttam Dubal is Sr. IP Product counsel for HCL Technologies, an international company with over 100,000 employees. While issues of all sorts come across his desk, he spends most of his time on intellectual property matters, technology licensing work, counseling all of HCL's products line of business, and managing litigations. 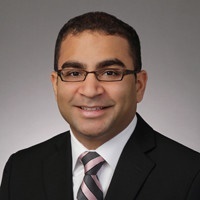 He has a bachelor's degree in Electrical Engineering from Northwestern University and a JD from the University of North Carolina School of Law. He primarily practiced patent law before transitioning his practice in-house. Prior to law school, Uttam was a web-security consultant concentrating on identity and access management solutions.